I have been disconnected from the anime scene for almost two years. A part of the reason is that I have been busy with college but another reason is that I was finding it hard find new series that were interesting enough to keep me watching beyond the first few episodes. I’ve blogged about losing my anime mojo and I got some excellent recommendations that I have noted and intend to watch now that the summer semester is almost over. 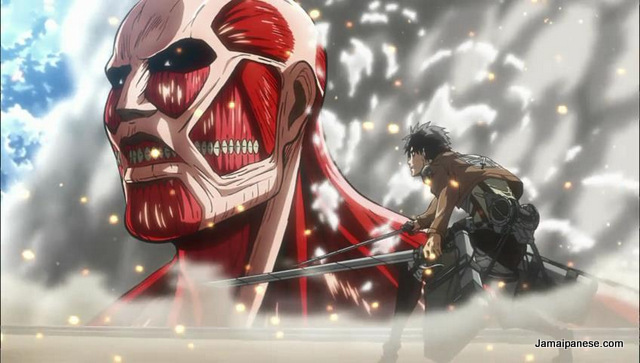 The anime that has caught me eye in recent weeks though is Attack on Titan or Shingeki no Kyojin (Advancing Giants). Attack on Titan premiered this spring in Japan and I started to read good things about it on Twitter. About 6 weeks into the show I decided to start watching it one night before bed and before I know it I had devoured all the episodes that were released at the time and in was the wee hours of the morning. I hadn’t had an all night anime watching session in a long time. Attack on Titan is an action anime that pulls you in with its excellent visuals, memorable characters and an interesting story that plays on your emotions. Maybe I am getting too old now for the repetitive “super saiyan” action of other shonen anime and want a story/world which is better thought out and very unique. 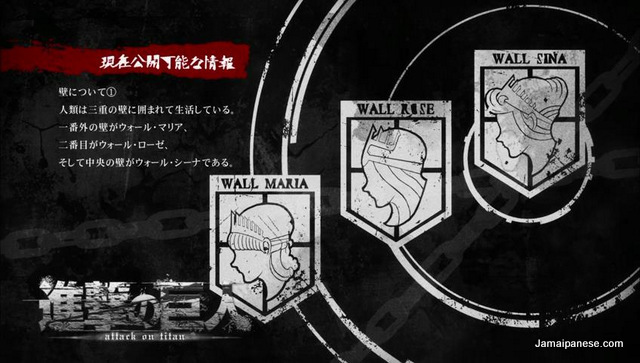 For some reason this anime is giving off a very good Valkyria Chronicles vibe but with more interesting plot twists and richer cast. At the time of this I am up to episode 14 and can’t wait to watch more. I have stayed away from reading the manga to try an savor the story but I am tempted. Have you been watching Attack on Titan? Several hundred years ago, humans were nearly exterminated by titans. Titans are typically several stories tall, seem to have no intelligence, devour human beings and, worst of all, seem to do it for the pleasure rather than as a food source. A small percentage of humanity survived by walling themselves in a city protected by extremely high walls, even taller than the biggest of titan. Flash forward to the present and the city has not seen a giant in over 100 years. Teenage boy Eren and his foster sister Mikasa witness something horrific as the city walls are destroyed by a colossal titan that appears out of thin air. As the smaller titans flood the city, the two kids watch in horror as their mother is eaten alive. 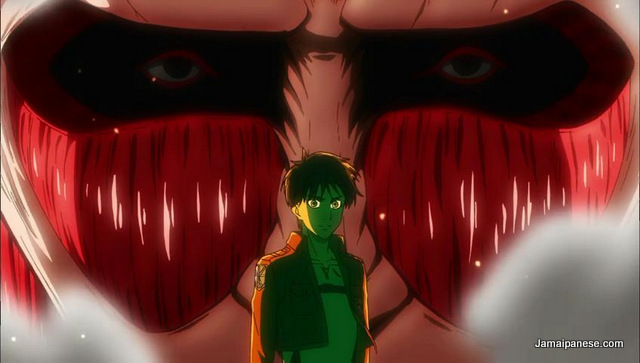 Eren vows that he will murder every single titan and take revenge for all of mankind.